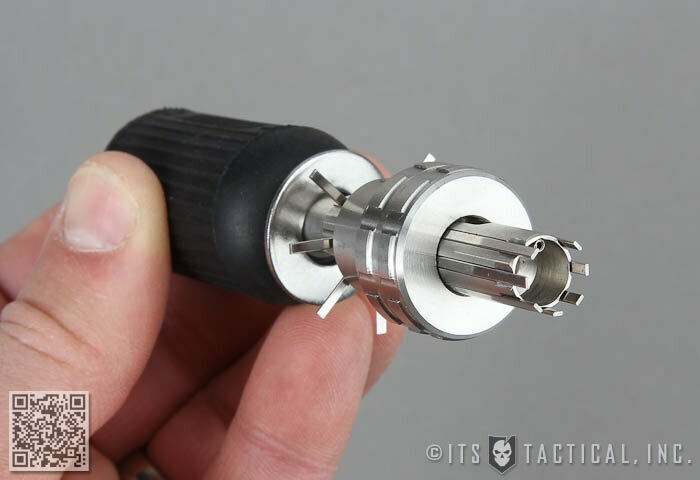 One of my personal goals for 2012 was to learn tubular lock picking and become proficient enough to share my knowledge with everyone here on ITS Tactical. 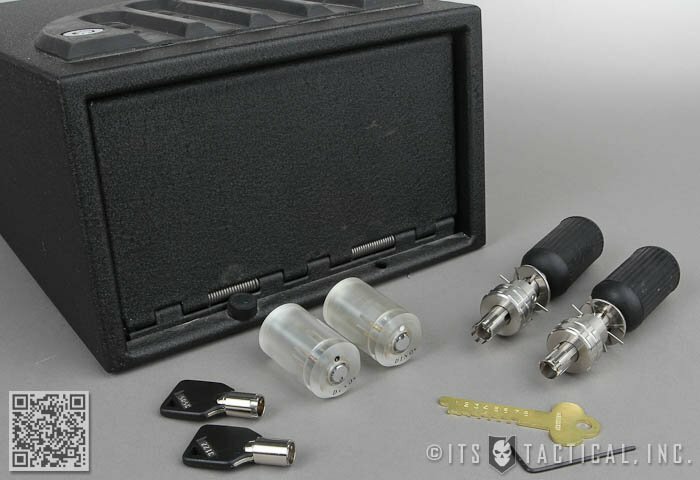 It took me a few more months than I would have liked, but today I’ll be walking you through how to pick tubular locks. Tubular locks are commonly found on small gun safes, vending machines, computer locks, etc. 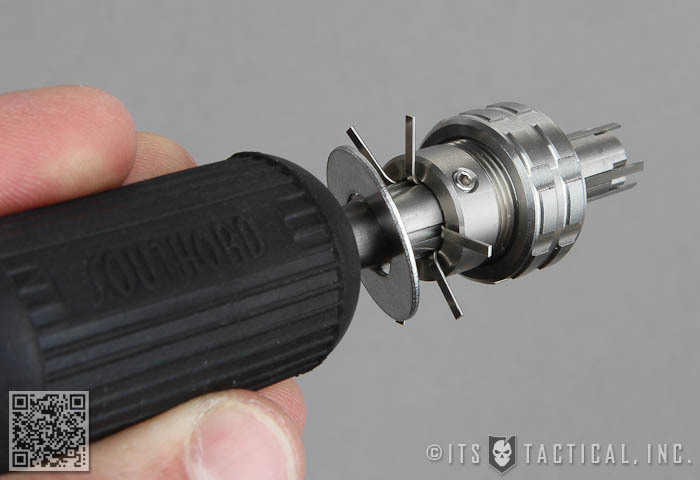 In fact, what prompted me to get into tubular lock picking, other than for Locksport purposes, was when my son lost his key to a small handgun safe he was using for his Airsoft pistol. Commonly thought to be more secure and more resistant to picking than standard pin and tumbler locks, I’ve found that with the help of a tubular lock pick, they’re much easier and faster to pick. If you’re familiar with past discussions we’ve had on ITS, you’ll hopefully know what I mean when I refer to pin and tumbler locks, the kind you commonly find on your front door. 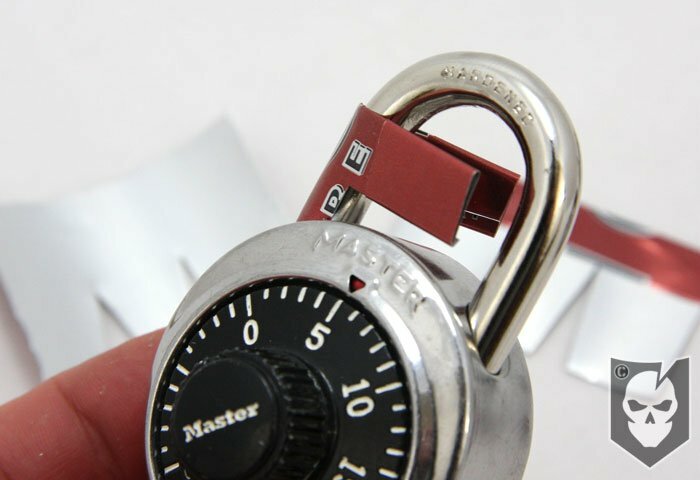 Tubular locks are very similar to pin and tumbler locks and are actually a tubular pin-tumbler lock. Also known as Ace locks, axial pin-tumbler locks and radial locks. All the features of a standard pin-tumbler lock are still there, just configured in a circular pattern rather than inline as standard pin-tumbler lock is. In fact, while the purpose of this post is to explain tubular lock picks, specifically built for picking tubular locks, they can also be picked with common single-pin picking. Only with a lot more effort. As you’ll notice in the photo of the tubular lock pick trainer above, you have the spring, key pins (red) and driver pins (gold). This is also represented in the diagrams below as (red) key pins and (blue) driver pins. Each complete pin stack is pushed with help from it’s spring towards the front of the lock. This binds the shear line and prevents the plug from turning (colored yellow in the diagrams.) 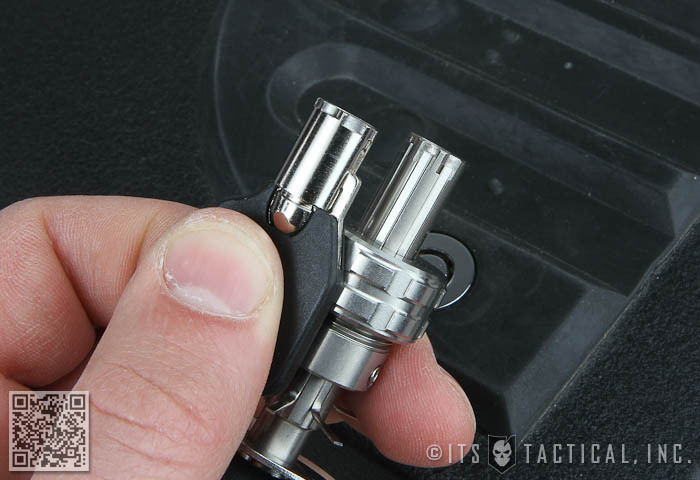 The difference with a tubular key and a standard key is that instead of the cuts of a key, a tubular key has half-cylinder indentations with map to the height of the pin stack. It also means that duplicating a tubular key requires different machinery. Standard configurations for tubular lock picks are 7 pin, 8 pin and the less common 10 pin. 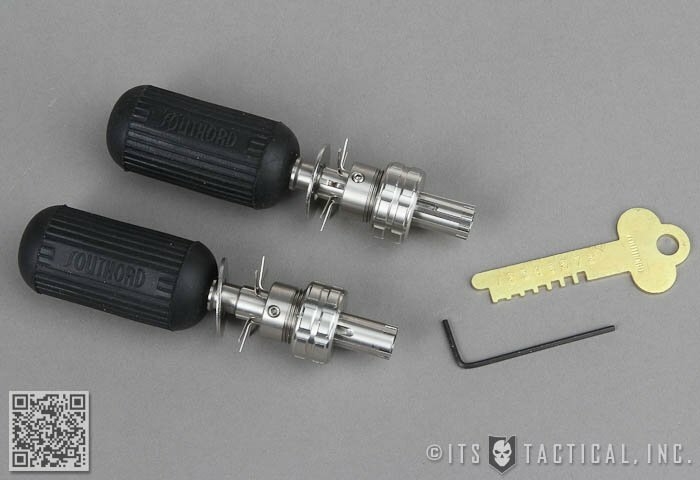 Some tubular locks are even six pins and while I haven’t personally tried it, the 7 pin tubular lock pick should work on the 6 pin lock. I suspect this is the case, as I’ve used an 8 pin tubular lock pick to pick “some” 7 pin tubular locks. The parts of a tubular lock pick include independent needles that correspond with each independent pin stack. 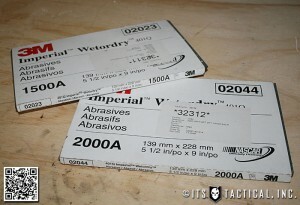 These needles are held under tension with the use of the rotating collar. 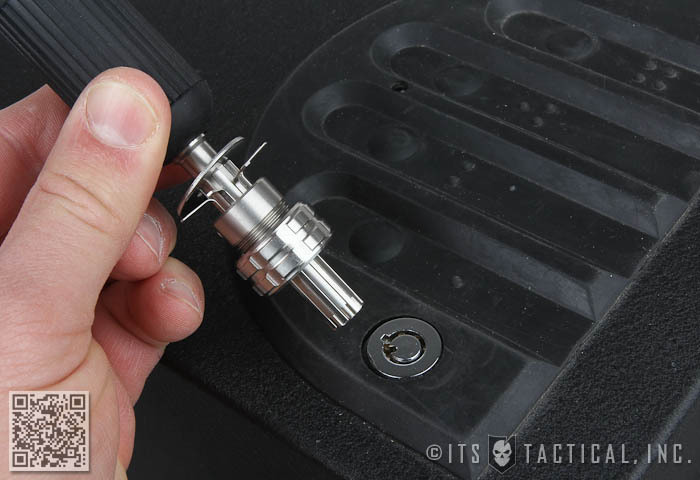 Below the needles, but before the handle, there’s a washer that facilitates resetting the tubular lock pick. 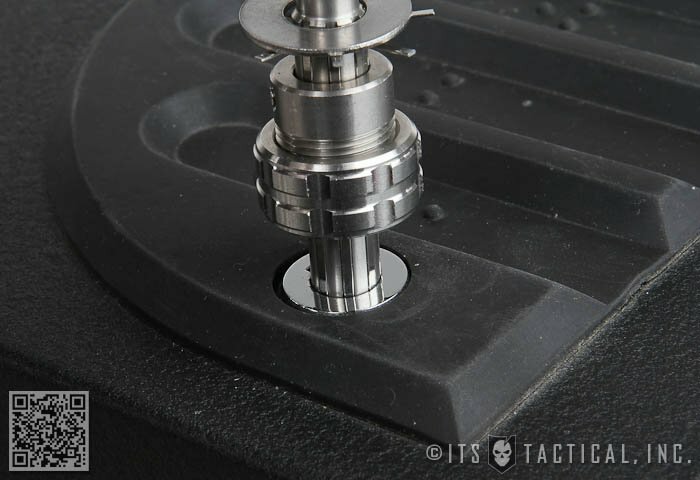 This brings us to the first step in using a tubular lock pick. Ensure the needles are free and can move independently and loosen the collar to the point where it’s just barely finger tight to apply light tension to the needles. Extend all the needles by pressing the washer to move them beyond the end of the pick. Press the complete pick against a hard surface to reset the needles to their baseline height. Insert the pick into the lock slowly, allowing the picking needles to map to the corresponding pin stacks. Slowly apply left to right turning torque to the pick and the lock should pop open. 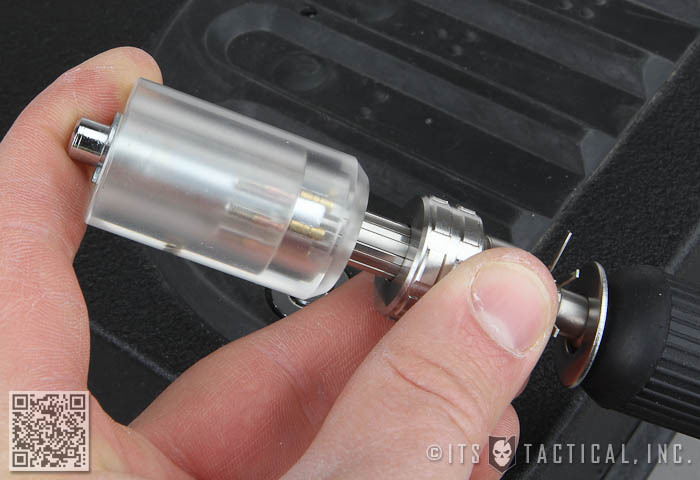 Once the lock is picked, remove the tubular lock pick and tighten the collar. Now comes the amazing part. With the collar tightened down, you now hold a key in your hand that will open the tubular lock over and over again. With a tubular lock decoder you can actually measure the height of each pin as is corresponds in a clockwise pattern around the tubular lock pick. With that “code” you can have a locksmith create a duplicate key. That, or you can take your now decrypted tubular lock pick to a locksmith and have them reproduce a key. It’s actually scary how easy it is to not only open tubular locks, but to continue to open them over and over again. To me, these are less secure than household pin and tumbler locks, due to the ease of creating a new key. 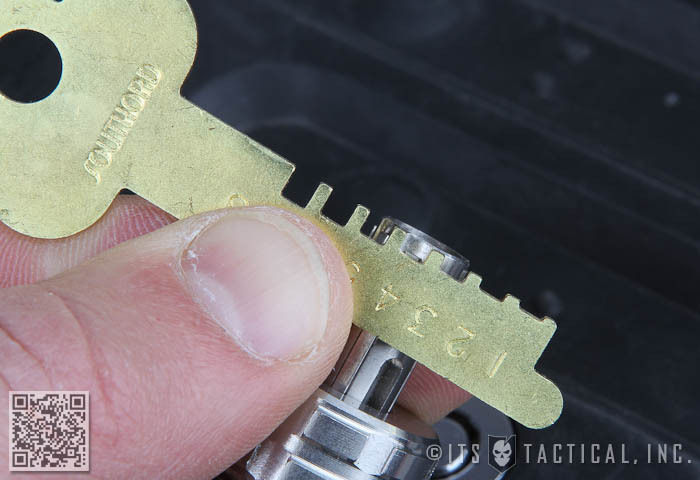 There are of course ways of impressioning a key blank on a standard pin-tumbler lock, but take much more effort than the tubular lock pick does. There’s even more to tubular locks that I’ll save for a future discussion, but if you’re interested in jumping ahead, google how to pick a tubular lock with a ballpoint pen. As always, our goal with providing locking picking information is to continually break down the illusion of security you may depend on to keep your family and personal effects safe. Through gaining more knowledge of this skill-set, you can make more informed decisions when it comes to protecting your valuables. Remember, locks and security in general is only to buy you time. They’re there to keep honest people honest. 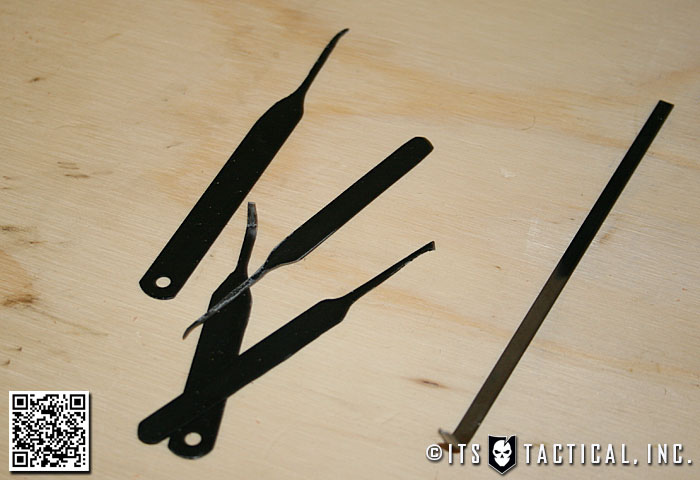 Tubular Lock Picks, Trainers and Practice Locks are Now Available in the ITS Store!